Training on technology accelerates learning and adoption. 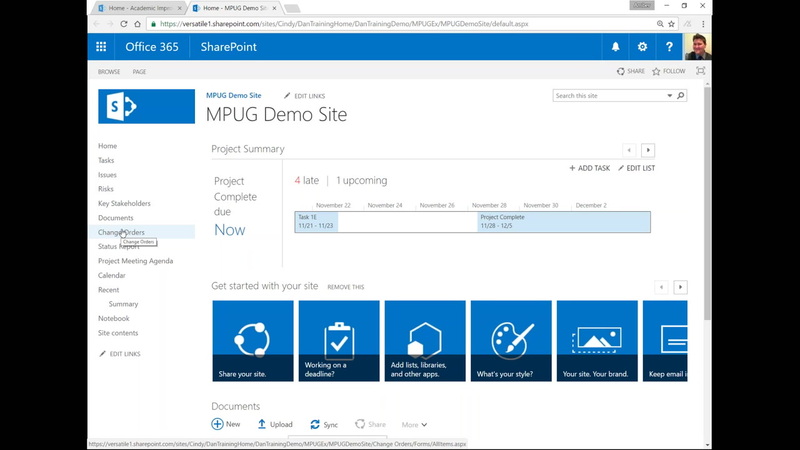 Teach your teams to manage projects on SharePoint 2013. Perform the most important project management activities using the out-of-the-box features of SharePoint. Learn how easy it can be to set up a project site that keeps your team informed and engaged. SharePoint is designed as a platform for creating collaborative business applications. You’ll learn the SharePoint applications that already exist to help you manage the schedule, track issues and risks, and control critical project documentation, all while keeping your team updated with the latest project information. Design a practical home page for your project. Create a summary view for your sponsor. Use a SharePoint template to save time on your next project. Amber Butler can quickly show you how easy it is to build a project site in SharePoint. She built Versatile’s solution from the ground up after attending a SharePoint class and working side-by-side with some of Versatile’s project management experts. She has a practical, easy-to-follow method of teaching.